This pretty girl was co-owned and living with Julia Duschek of Lor-J's cardigans in St Joseph, Michigan. 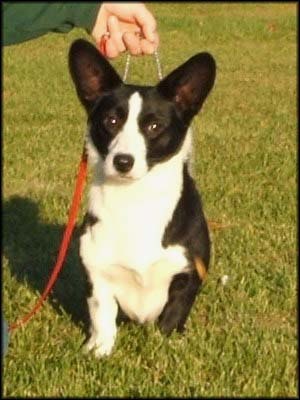 Raven was from Wyntr's "C" litter. 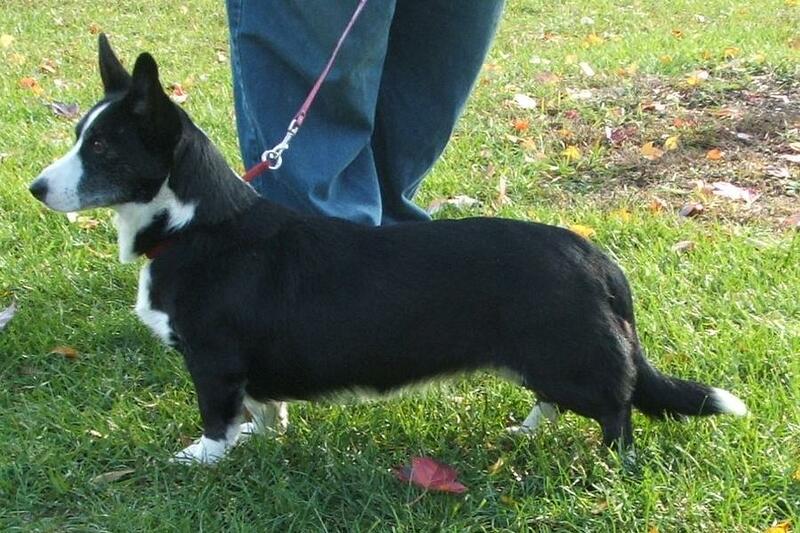 She had a nice outline and excellent shoulder, good bone and angulation, a lovely blue-black coat with dark undercoat, plus a sweet personality. 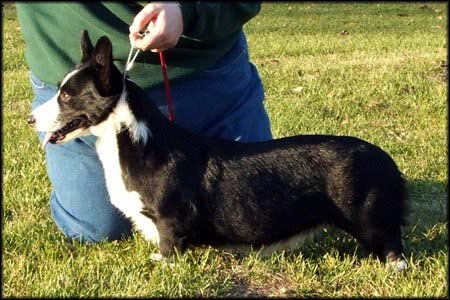 Raven's pedigree is a line-breeding which brings together top Welsh, UK and Finnish import lines in combination with some of the best established American lines. She passed away in September 2017, much loved and missed by her family. Raven in action, June 2006. 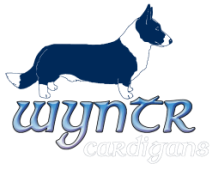 Troy is also from Wyntr's "C" litter and was sent to live with Holly Goldman-Graig at Visions cardigans, but was eventually placed in a wonderful pet home when it was determined that he would be a cryptorchid. 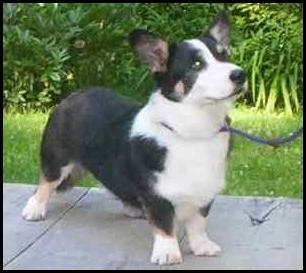 He was returned to Visions after his owner passed away, and will be spending his remaining years there. More photos of Troy can be seen on the Visions website.